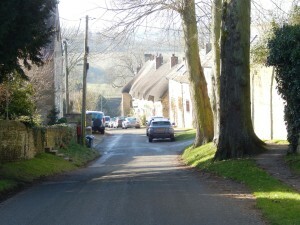 The Government’s 2011 Localism Act introduced new rights for Parish Councils, as well as other representative groups, for community led planning via the creation of Neighbourhood Plans. A Neighbourhood Plan for Mid-Cherwell could act as an important stimulus to better decision-making. Cherwell District Council is offering active support for this major initiative, which represents 17% of the population of the District. 1. Cherwell District Council’s recently- adopted Local Plan requires a significant increase in numbers of new dwellings in the District. Even more houses are likely to be required to help meet Oxford’s housing need. These pressures are already generating much interest from developers. Later in 2016 the District Council will publish its assessment of potential housing sites across the District, including sites within the Neighbourhood Plan area. 2. The major development already under way at Heyford Park, which could see an increase to 2675 homes. There is also a real opportunity there for new community facilities that will benefit the wider area. The aim of the Mid-Cherwell Neighbourhood Plan is to develop a strong, collective voice for the residents of the Mid-Cherwell area, and to set down the aspirations and hopes of the local community to the year 2031. To achieve our aims, we are working closely with Parish Councils and resident associations in the Mid-Cherwell area, the Cherwell District Council, and The Dorchester Group – the land owners of Heyford Park. The Forum has elected an Executive group to take forward the work of creating the Plan. The Executive currently comprises two representatives each from Upper Heyford, Steeple Aston and Lower Heyford Parish Councils, and from the Dorchester Group. What is a Neighbourhood Plan? Watch this video from mycommunity.org.uk.